Don’t you just hate it when you open your inbox and find an email from a trustworthy friend and that email contains a forwarded message that makes disparaging claims about something or someone controversial, but that somehow has the ring of truth, and so of course you believe it and pass it along to everyone you know without a second thought. A few hours later, you receive an informative email from a recipient of that disparaging email with the ring of truth. The recipient informs you that the disparaging email with the ring of truth is an Internet hoax or an urban legend, and this thoughtful recipient includes a link to Snopes.com for you to visit and thereby confirm your naiveté. Your face begins to glow red as you read, and you wish a hole would open beneath you so you may crawl in and pull it in after you. Have you learned your lesson? Of course not. As you scroll through your Facebook newsfeed, you see a post or MEME that makes inflammatory claims about a controversial public figure that has spoken out critically of your beliefs. The post has the ring of truth, of course, and it pushes all your emotional buttons. Your instantaneous reaction is to share it immediately, without a second thought, to all your Facebook friends. 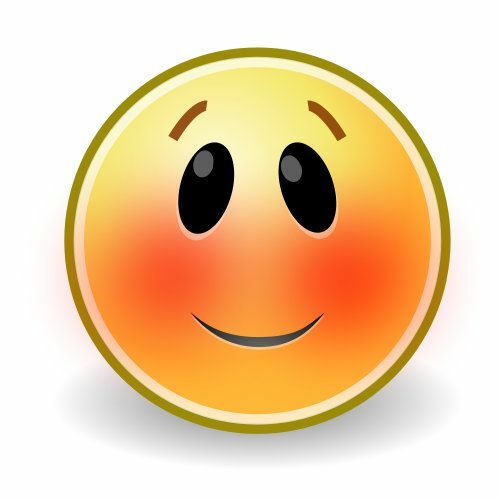 After a while, you receive a notification from one of your Facebook friends who has replied to the post you shared. More than likely the commenting friend will be a true believer of that controversial public figure who has spoken out critically of your beliefs, and the true believer is now posting a reprimand to you for sharing that inflammatory post about that controversial public figure who has spoken out critically of your beliefs. The true believer will call attention to the inflammatory post being false and will gleefully provide a link to FactCheck.org to rub your nose in your gullibility. The true believer will probably also take enormous delight in questioning your intelligence. You slap yourself upside the head and wish you had learned your lesson from the email incident. Here is a recent personal encounter with an Internet hoax. Yesterday, Macho Guy forwarded a suspicious email to me. An intelligent and very successful man he’s known for a long time sent it to him. MG asked me to check it out to see if it was true before he forwarded it. He gets points for that. After I stopped laughing, I didn’t bother to click on the YouTube link provided. I knew whatever the video producers claimed would be as preposterous as the content of the email message. I went straight to Snopes.com where the email and the video were debunked as false. This particular hoax has been around for a few years. The email and video claim the State of Michigan, which happens to have a large Muslim population, is making welfare payments to polygamous Muslims for each wife up to a total of four. Oh, please. Polygamy is against the law in every state. A person would have to be devoid of common sense to believe this idiotic claim, much less spread it around. Don’t let the hoax lowlifes getcha! Seriously, folks. 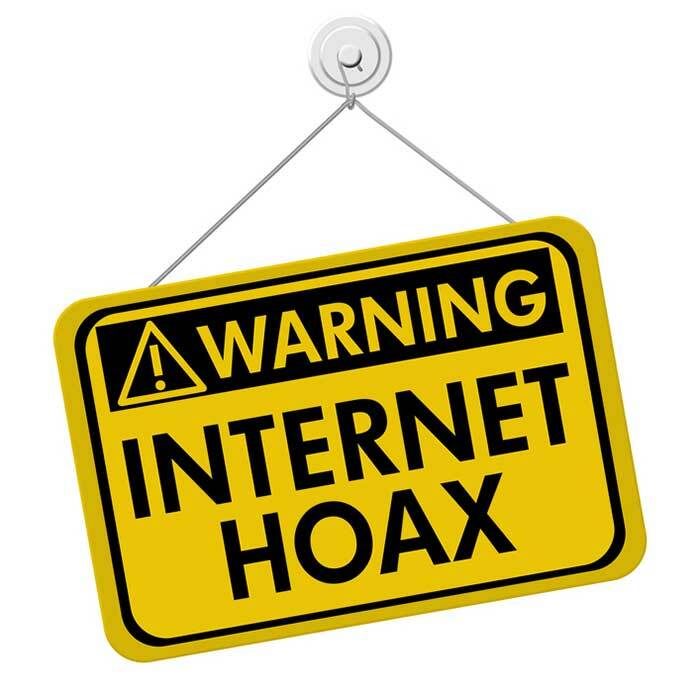 Now that you’re somewhat wiser, you’ll remember to consult a fact-checking site before you forward or share anything that smacks of being a hoax, an urban legend, or of being click bait. I know I will do my best not to fall prey again. Well, most of the time. We’re only fallible humans, after all. I have learned that probably 98% of what we read on the internet is not true or only contains a kernel of truth. I usually don’t forward anything anymore and am choosy about what I share on FB. But the hoaxers live on! I’m not sure the hoaxers actually live, Lucy. IMHO, they need to get a life. Even worse are the messages that say Big Name Celebrity is dead. Sometimes it’s in a little box off to the right of FB messages. Sometimes on Twitter. A report that the NFL prez was dead went viral yesterday. He isn’t, btw. It’s so annoying to be inundated with those phony messages, Diane. I often wonder what possesses these tricksters to come up with all that trash, They must get a sick satisfaction out of suckering others into believing them. Glad to see someone standing up against the phony forwarded messages. Some forwarders I know don’t even realize they’re being scammed. And show no shame when I point it out. I hear you, Paul. There is no shame–and no gratitude. There was this one particular time that I sent a Snopes.com link to a Facebook friend to expose a phony Facebook post she shared. Another of her friends who forwarded that phony post to all her Facebook friends replied that the know-it-alls who check Snopes.com are a bunch of wet blankets who spoil the fun for everyone else. So, what she was saying is that she thought it was fun to be suckered by a hoaxer who was no doubt sitting in front of his computer laughing at her and everyone else who shared his big joke on them. Seriously?